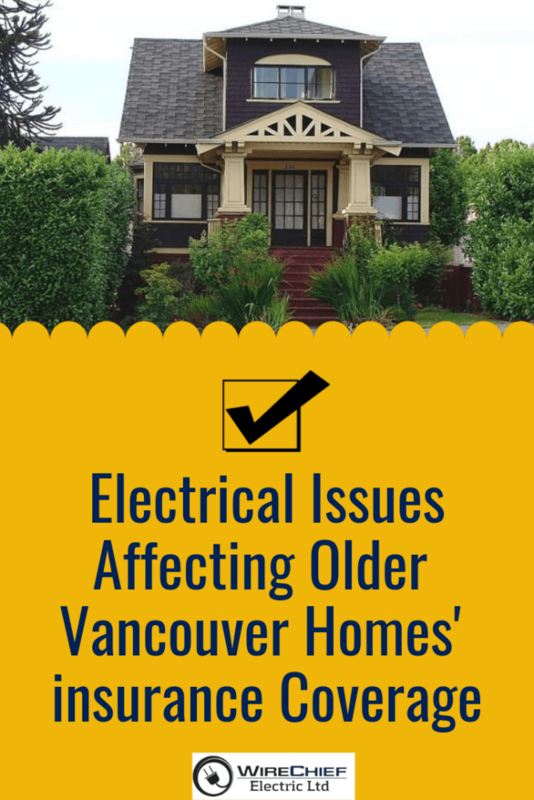 If your house is older than 30 years, your insurance company might require you to upgrade the electrical systems in your home before providing you with or renewing your home owner’s insurance policy. 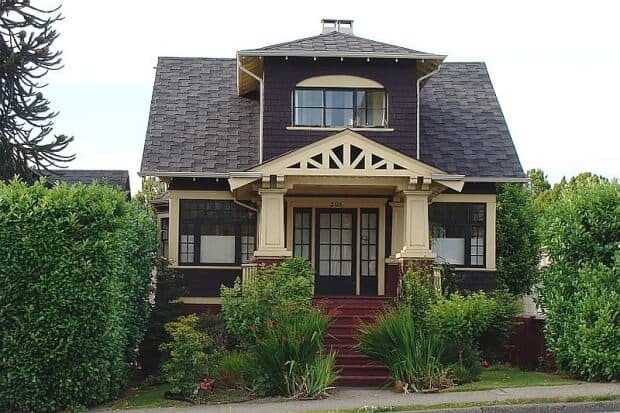 If you are looking to buy an older house that has 60-amp electrical service & knob and tube electrical wiring makes sure to consider the cost of necessary upgrades when deciding your offering price! Your insurance representative should be able to advise you on what upgrades may be needed prior to obtaining homeowners insurance coverage. Most insurance companies are concerned that the 60-amp electrical service, common in houses built before 1950, poses the threat of overuse as well as overheating, potentially increasing the risk of electrical fires and a subsequent claim. Before providing you with your insurance coverage, your insurance company might need you to upgrade your 60-amp electrical service to 100 amps (the standard for new home construction) or for you to install a switching device that allows for the operation of only one major appliance at any given time. Knob and tube wiring, also commonly found in houses older than 50 years of age, consists of parallel hot (black) and neutral (white) wires, separated by knobs (or insulators) and ceramic tubes. -There isn’t a ground wire (unlike contemporary wiring). -Given their age, the wires are very susceptible to wearing and exposure, presenting a serious hazard. -The unintentional contact of the hot and neutral wires might cause electrical fires. 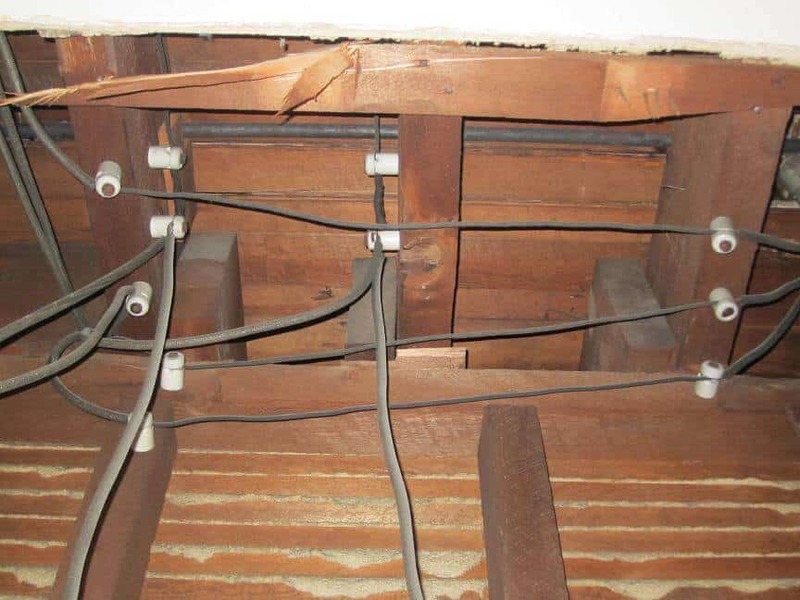 Because of this, you may be required to replace all exposed knob and tube wiring with approved permanent wiring material before any insurance company will provide you with home owner’s insurance coverage. Some insurers may consider covering homes with wiring issues if they have been inspected by a licensed electrical contractor and deemed safe enough. It’s best to speak to your insurance representative about your personal situation. Is Knob & Tube Wiring Safe?